Susie Q from Qtsy Things built the beautiful set of paper flowers that served as the backdrop for our bridal fashion editorial in the Fall-Winter edition of Jacksonville Magazine BRIDE, which just went out to subscribers and also hit newsstands in Northeast Florida. We were back in the studio to create the fashion editorial I photographed for the January issue of Jacksonville Magazine, featuring clothing and shoes from Dillard’s, Meow and Barks Boutique, and Private Gallery. 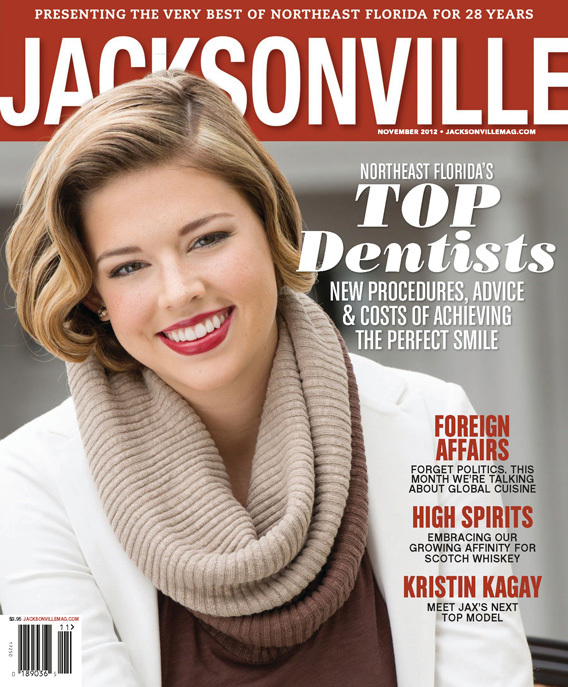 The November issue of Jacksonville Magazine features a cover and fashion editorial I photographed featuring clothing and shoes from Dillard’s, Olsen Haus, Private Gallery, and Therapie. Special thanks to everyone at Timuquana Country Club in Ortega.